Also, flights from the UK to KTM will have significant departure taxes/fees. If you can depart from another European country, fees should be lower. Significant? APD would be GBP 71 in Y for flights over 2000 miles - it wouldn't make much sense to go out of your way to "save" that. And how much is the PSC? If the traveler were considering visiting another European country anyway, it would certainly make sense to fly into the UK, but out of a different country. In addition to LCCs from LON, there is also Megabus. About GBP 42 - but it's not like other European countries have zero PSC. Germany and Switzerland have GBP 25 as well, for example. If the traveler were considering visiting another European country anyway, it would certainly make sense to fly into the UK, but out of a different country. Absolutely. I just meant to say "I wouldn't go out of my way just to avoid departing from the UK". Of course, with 60K AA miles, you could fly KTM-Europe roundtrip in Business Class, rather than one way in F, and one-way in Y. Decisions, decisions. Wait, I can? On Etihad Airlines? So all I need to do is call AA, right? Not sure if Etihad or Qatar would be better for travel in J. My wife is currently booked BKK-HKG-LAX-SAN on CX and AA. Miles from her (Gold) account. She wants to change to BKK-NRT-SAN on JL. Does this incur the change fee? "Connections of more than 4 hours are considered a stopover unless the passenger is taking the next scheduled flight and it is outside the 4 hours." Consider the following hypothetical scenario with made up flight times: I'm trying to get from IAH to HNL. Now there's flights every hour between IAH and DFW. But there's only one flight DFW-HNL at 8pm. I'm wondering if it would be legal to route through DFW with a connection exceeding 4 hours with a 1pm IAH-DFW flight and the 8pm DFW-HNL flight? By the wording of the rule above, it seems that this would be legal, since 8pm is the "next scheduled flight" to HNL given the 1pm IAH-DFW flight. 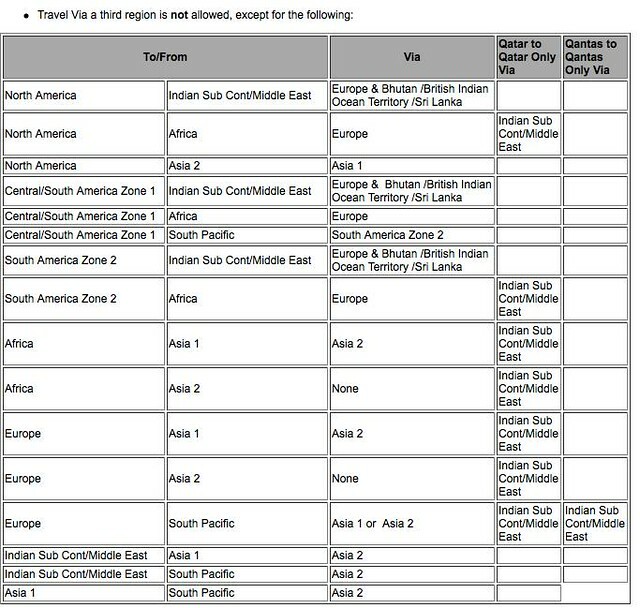 The reason I'm even bother asking this is that if the above were *not* legal, then given my plans right now, I'd have to select a roundabout itinerary with 2 connections. Whereas if the above is legal, then I'd be able to select an itinerary with only 1 connection (but exceeding 4 hours) and actually arrive in less time than the itinerary with 2 connections. It seems rather counterintuitive that the connection rule would force me to select a longer itinerary just so I can fit all connections to under 4 hours. Last edited by Ricebucket; Jan 3, 16 at 11:17 am Reason: edited to correct use of the words "stopover" and "connection"
try to book PVG-NRT-YVR in 08/20 for JL business, I can see the reward space in BA, JL own website is down for 3 month but I talk to 2 AA reps all said nothing is available, any idea why? Did you feed the itinerary to them flight by flight (by flight number, not route)? It's all moot, since on an all-AA routing to/from Hawaii, you have up to 18 hours to connect. Today my consistent experience even after HUCA is AA will now longer allow you to go above MPM. Tried to fly MIA-DOH-AMM-TLV. Not allowed since Qatar being over water carrier doesn't publish to TLV. Then tried MIA-LHR-DOH-AMM-TLV and they said I prices out at 97,500 miles in business since it goes over the MPM. He confirmed they are being strict and there is no +25. Supervisor called rate desk to get it to 67500. Rate desk said it must be booked as THrEe awards. Mia-LHR 50K. LHR-DOH 30 K. Then DOH-AMM-TLV all must be on RJ for 30 k. Total 110K plus $491 in taxes. What a joke. Anyone else with these awful experiences ?